Inspecting your roof every fall is critical if you want your roof to make it through the winter unscathed. Colder temps, wind and rain will test even the best roof, so inspecting in autumn is a wise idea. This will give you time to complete repairs, replace shingles and fix the gutters if needed. To know if your roof is in good shape, sometimes the best way is to inspect the interior surface of your attic. Take a flashlight and check out the attic’s ceiling, wood beams and insulation. Do you detect moisture from leaks? Are there any patches of sunlight getting through? Is your insulation still in good shape? If you see anything concerning but aren’t sure how to address it, call a professional sooner rather than later. Autumn is an ideal time to replace damaged shingles, in an effort to provide protection for underlying roofing materials against moisture or wind damage. Sure, you could grab an extension ladder, a hammer and nails and you could secure old shingles or add a new one. However, it’s never a good idea to get up on your roof to take on a task of this magnitude. The risk of falls and injuries is just too great. 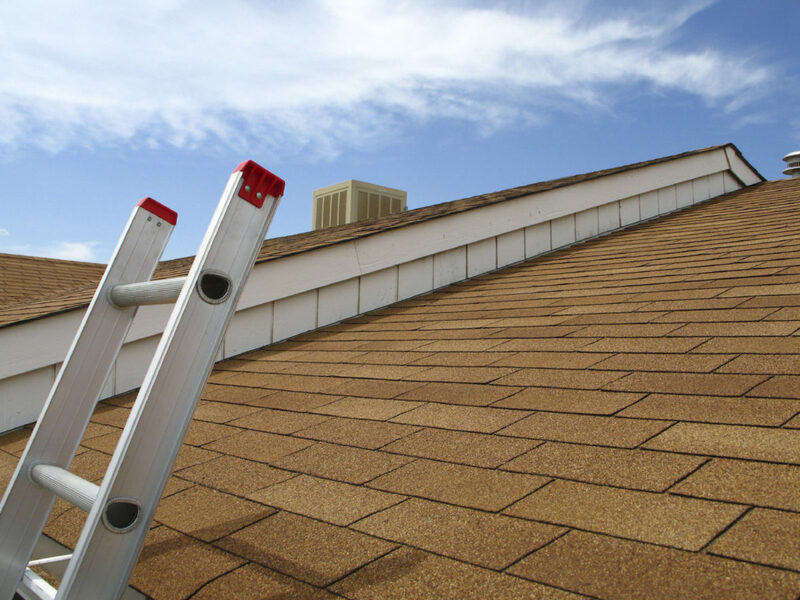 A professional roofing team will bring the proper equipment to safely make any shingle repairs necessary. Your roof’s chimney and vents are vital parts of the roofing material’s components. When these items are defective, you can’t just let them sit. These problems should be repaired immediately before winter sets in. Not only can they detract from the value and longevity of your roof, they can pose a safety danger. Missing mortar, brick or metal on ventilation systems can cause sparks, which can land on the roofing materials and result in a fire. Downspouts and rain gutters are integral components of your rooftop drainage system. If these get filled with debris, moisture will fail to run off the roof fast enough to keep damage at bay. When moisture is allowed to stay on a rooftop, it can result in degraded shingles and rotting wood. Do you have large trees in close proximity to your house? Overhanging tree branches can puncture or scrape your roof material. This is a good time to trim those branches back, which will also serve to keep leaves off your roof or in the gutter. Bonus: it will keep critters like squirrels from getting onto your roof. A full, professional inspection is recommended in autumn. You can only do so much from the ground. Reputable roofers will arrive with the proper equipment and supplies to make any necessary repairs on the same day as your inspection if need be. Getting protection for your home is as simple as having it inspected every fall. We offer residential inspections, so schedule your appointment today by calling 817-769-2477. We offer commercial roof repairs, installations, maintenance and more in Fort Worth, TX and all surrounding suburbs. We offer residential roof repairs, installations, maintenance and more in Fort Worth, TX and all surrounding suburbs. I am simply amazed at the level of service Ferris Roofing provided us. Not only did they do great work but they showed us how we could save a few dollars in the process. You guys have a customer for life. Having a roof problem and dealing with the insurance company can be very stressful, but Ferris Roofing made it so simple. Not only did your knowable staff take the time to walk us through the whole ordeal, but you got the job done on time and beyond our expectations. Thank you Patrick! Ferris Roofing Contractors, Inc. is currently hiring driven individuals with experience in sales or sales management. Top earners CAN make $100K plus per year! Copyright 2017 © Ferris Roofing Contractors, Inc. All Rights Reserved.